A moped gang armed with Samurai swords, a sledgehammer and an axe rammed a stolen car into a high-end jewellery store before stabbing a heroic passer-by when he tried to stop them, a court heard. 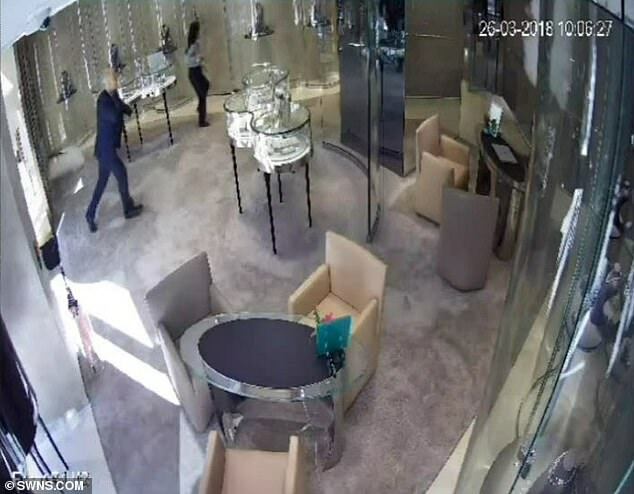 Miguel St Martin, 21, Harry Doyle, 18, Reece Salmon, 22, and Alfie Warry, 21, are all accused of being part of the gang that carried out raids at Boodles jewellery store and Yves Saint Laurent in Mayfair. Builder Petar Dimov, who was working at a site opposite the store in London, ran across the road to intervene before he was set upon by the gang, jurors heard. Mr Dimov was slashed across the knees with a sword and stabbed in the back, leaving him with a permanent limp and battling a lung infection. Police are continuing their search for a fourth person wanted in connection with a Brockton armed robbery.